We’re Columbus’ dental experts. Did you know that being the dental experts includes more than knowing about teeth? That’s right, we do gums! We do bone tissue! We do tooth ligaments! If it’s part of the supporting structure of your teeth, our trained periodontists can treat that, too. Periodontics deals with treating conditions and diseases that affect the roots and support for your teeth. This includes gingivitis and periodontitis, collectively referred to as periodontal disease. Gingivitis is relatively common,even in the US. In fact, an estimated 30-50% of the US is affected by periodontal disease. Though it can most often be prevented with regular brushing (twice daily), flossing, and/or use of antibacterial mouthwash, most Americans don’t do that. Of course, prevention is your best friend. But in cases where periodontal disease has already developed, we’re here to help. 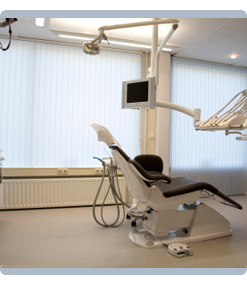 A good minimum for dental cleaning is to come in twice yearly. Regular maintenance for your mouth, like regular maintenance for your car, helps keep you running smoothly and increases the lifespan of your original parts without replacing them. A periodontist will use a traditional method called scaling and root planing to clean teeth and remove plaque that causes gingivitis or periodontitis. Most people are familiar with the metal hand scalers and other tools a dentist uses to scrape plaque off of teeth. Many of these tools use ultrasonic technology. These sonic scalers vibrate at a frequency that breaks down bacterial cell membranes to remove both soft plaque and the harder build-up (aka dental calculus). Newer ultrasonic tools are now able to attack sub-gingival plaque with vibrations that break them down. 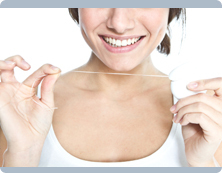 Regularly cleaned teeth are happy teeth that feel great and are fun to smile with! Getting your dental work at The Dental Center at Easton is easy, whether that’s for your teeth or to keep your gums healthy. Call our Columbus Office today to learn more and set up an appointment!